I know you are are dying for an update on Nadine. Especially those of you who know her. Nadine was so cute...we went out to lunch and she told me she had to tell me something. She told me that the house she was staying in has hot water. Remember Nadine comes from a village where they carry water in buckets back to the house or they bathe in the river. 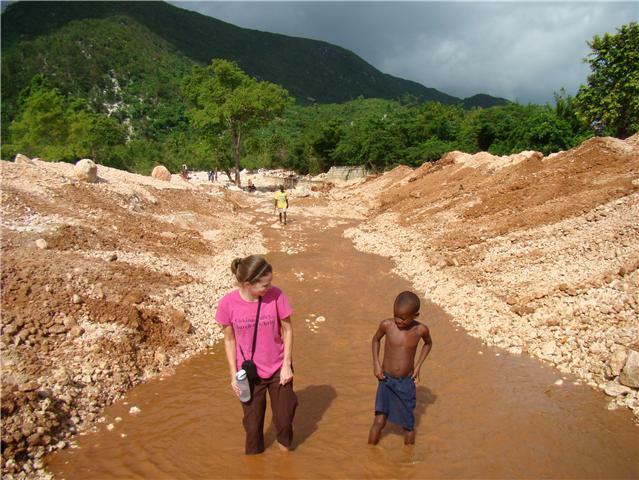 When she stayed here at my house in Haiti, she kept turning the faucet on and off in the sink. She had never seen running water inside a house before. And now she is in a house in Ohio that has running HOT water. She couldn't believe her luck! She told me anytime she turns the water on it is hot-whether it is in the morning or at night. Makes you think about the luxuries you live with when you look at it through her eyes....doesn't it? She has had her first treatment at Nationwide Children's Hospital in Coumbus, OH. And here are the pics. Nadine has a few more treatments and then will return to Haiti. Thank you for everything you all are doing or did to help Nadine. Please continue to pray for her and her host family and her birth family who are anxiously waiting for her return here in Haiti. So glad to read this wonderful update!!! God is good.